Call (202) 994-RIDE (7433) between 8pm-4am. You are required to show GWorld identification to the driver. Drivers reserve the right to refuse service in situations placing them or other passengers at risk. Be respectful to the drivers, other passengers and the vehicle at all times. Do not leave any garbage and ensure you have all possessions before exiting (especially keys and cell phone). Food and drink must be in a sealed container and/or bagged throughout the ride. 4Ride will not transport anyone with alcoholic beverages (open or close). Students who make a substantial mess (including vomit) will be charged a $200 cleaning cost and be reported to the Office of Students Rights & Responsibilities. Since 4Ride is a safety service, it will not transport students to the grocery store or other tasks which are more appropriate for other transportation options (taxicabs, Uber, Lyft, etc.). Remain alert before/after riding in the 4Ride vehicle and be cognizant of your surroundings and the nearest Emergency Call Box. 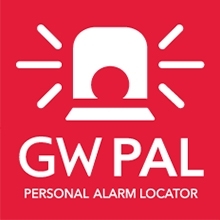 Download GW PAL, personal alarm locator, to your iOS or Android smartphone, and instantly send alerts or crime tips to GWPD from your device when you are on campus.